I generally try to avoid covering fragrances with unbearably limited distribution, and Knightsbridge by Robert Piguet certainly qualifies for that description. It is a scent that is available in only one place on earth, now and forever. Harrods London. In a happier universe, Harrods would ship worldwide, but it doesn’t, which makes reviews like this mostly an exercise in curiosity, masochism, or both. Knightsbridge is an eau de parfum that was created by Aurélien Guichard and released in 2013. According to Mark Behnke’s full review, Robert Piguet’s Creative Director, Joe Garces, asked Mr. Guichard to create a fragrance that replicated the scent of Harrods at 2 a.m. Personally, I’m not sure I want to smell like a department store after hours, since my imagination does not conjure up good things, but rest assured that Knightsbridge does not smell like a cleaning crew swiping down counters with Windex or industrial disinfectant. In tribute to Harrods of London, Robert Piguet has created an exclusive new fragrance. Composed of some of the most expensive fine fragrance elements, Knightsbridge de Robert Piguet is sure to dazzle wearers with its opulent presence. The perfume opens with creamy notes of nutmeg and rose before a sumptuous heart of sandalwood and orris transitions into a rich base of leather and tonka bean. nutmeg, rose, sandalwood, orris, leather and tonka bean. I’ve stared at that list of notes repeatedly, and like a crazy person, blinking in utter bewilderment because what I detect emanating from my skin for the first 5 hours smells neither like a “leather” fragrance, nor what that list led me to expect. The main and immediate thing that I smell when Knightsbridge opens on my skin is…. booze. Massive amounts of boozy cognac infused with fruit, to be precise. 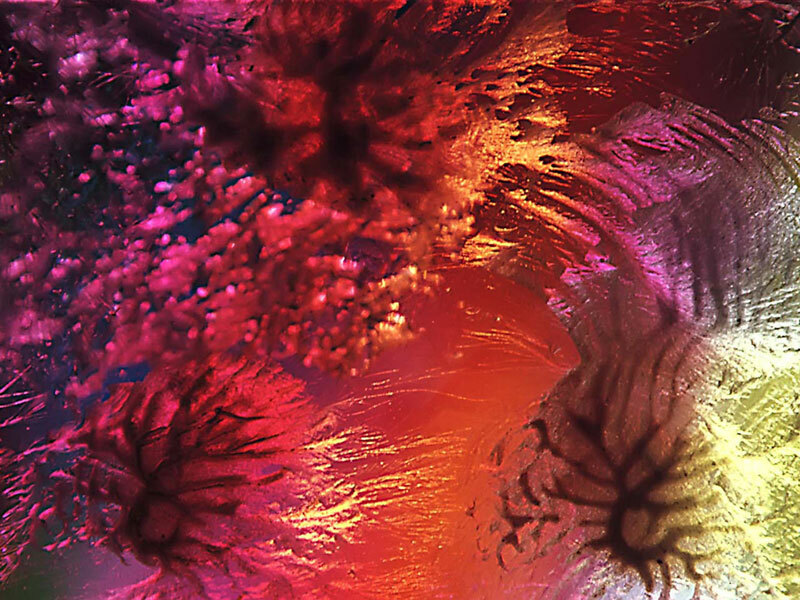 In fact, to be really specific, massive amounts of boozy cognac infused with dark fruits and Concord grapes that smell as though a methyl anthranilate synthetic had been used or fruited, purple, patchouli molasses. I don’t understand any of it. I’ve tested Knightsbridge 3 times now, and every single time there is a powerful boozy note that runs through a good portion of the perfume’s development on my skin. None of the reviews or comments that I’ve read for the fragrance mention it. And nothing in the notes should warrant either cognac nor fruitiness, let alone Concord grapes, fruit-chouli, or the spiced apples that later appear. The list doesn’t include any amber synthetic to trigger a cognac-like warmth, and I don’t believe roses naturally carry methyl anthranilate. I checked with my friend who obtained my sample, and there is absolutely no doubt that he got Knightsbridge, not some other fragrance by accident. 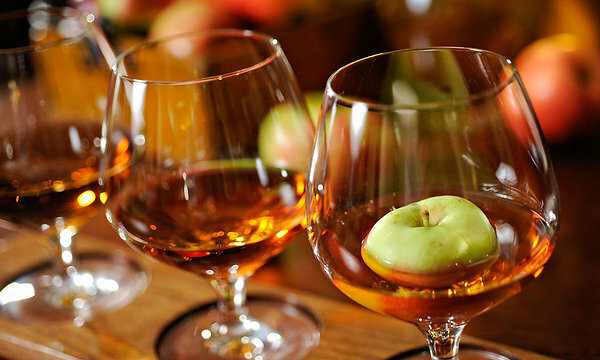 Calvados apple brandy. Source: NYTimes. Calvados is a golden liqueur like cognac that is made from apples, while crème anglaise is a vanilla sauce. I definitely smelled the latter from the middle to end phase of Knightsbridge, along with the spiced apples that took over the cognac’s undertones. So, whatever is actually in Knightsbridge, at least Robert Piguet itself seems to recognize red fruits, spiced fruits, and cognac as elements similar to those in the perfume. In short, perhaps the company has followed the path of several other houses (Profumum and Stephane Humbert Lucas 777, I’m looking directly at you!) in having a very truncated, abbreviated list of notes. It’s either that, or I truly am crazy. Getting back to Knightsbridge, there are other elements interwoven in the unexpected blast of cognac and dark, syrupy fruits. 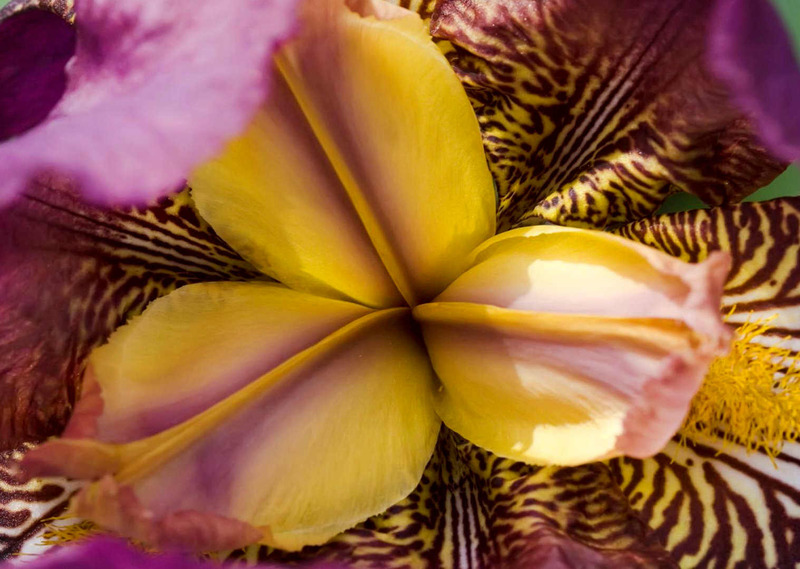 Iris is threaded lightly throughout, smelling buttery and, on occasion, slightly powdery. 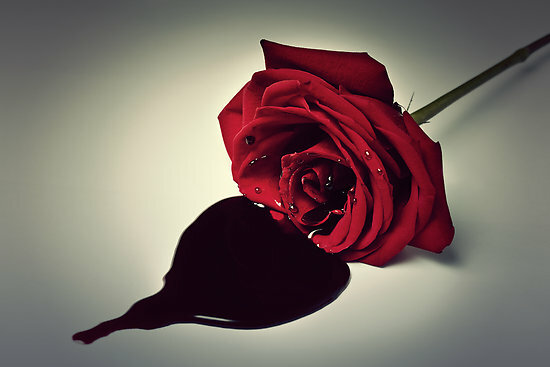 Much more significant, however, is the rose which feels very fruity and dark, thanks to that grape-y molasses or patchouli. Small hints of tonka vanilla dart in and out, adding a softness to the strongly boozy bouquet. The nutmeg is equally muted, smelling more like an occasional whiff of abstract spiciness than anything else. The most interesting thing for me initially is the iris, and how it plays off the other notes. It’s a very cool element, almost like the “cold stone” description that a friend of mine sometimes uses to describe iris scents. Yes, there is a buttery element, but that fades quite a bit after the first few minutes pass, leaving a stony coldness that contrasts greatly with the heated warmth of the fruited cognac, as well as the undercurrent of spicy richness. From afar, Knightsbridge’s opening bouquet on my skin is a very saturated, deep bouquet of boozy, fruited cognac with jammy, blood-red roses, lightly flecked with cold, stony irises, abstract spices, and a touch of tonka vanilla. There is no leather on my skin — either actual or the abstract suggestion thereof. 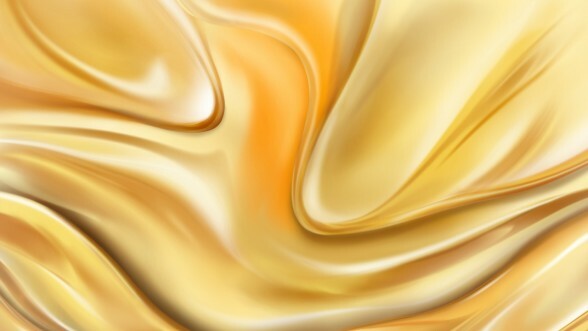 Instead, there is a very sticky, thick and dark undercurrent that runs through the fragrance. The extreme fruitiness of the scent makes it feel like a very molasses-like, purple patchouli, but there are also occasional, tiny flashes of something darker, possibly resinous, as well. For all its richness and strength, Knightsbridge doesn’t feel opaque, but airy and lightweight. I applied the equivalent of 2 small sprays from an actual bottle, and Knightsbridge initially wafted a good 4 inches above my skin in the opening moments. Using the equivalent of 1 spray (or 2 spritzes from my little atomizer), the opening sillage was only a bit less. 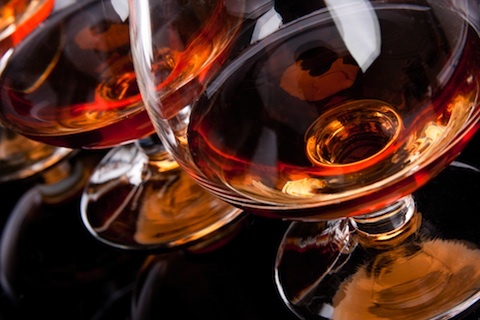 In all cases, however, the strength of the perfume’s boozy cognac blast comes across very strong, heady, and rich. And, in all cases as well, the sillage soon drops, resulting in a fragrance that has only moderate projection when taken as an overall whole. At times, especially when smelt from afar, it seems as though Knightsbridge’s opening bouquet doesn’t change for quite a while, but, if you pay close attention, you will notice small changes. 30 minutes into the perfume’s development, the vanilla grows stronger and, by the end of the first hour, it rises up fully from the base. At the same time, the Concord grapes become substantially weaker, and even the boozy cognac takes a small step back. That allows some of the other elements to shine forth in a more individually distinct way, like, for example, the roses which leap forward in strength. The nutmeg also becomes a little more prominent, but the stony iris seems to have largely disappeared. At the end of the first hour and the start of the second, the overall impression from afar has changed. Instead of cognac leading the way, Knightsbridge’s main focus now seems to be a very rich, heavy rose fragrance infused with syrupy, sweet, dark fruits and fruited booze. I can see why the scent is so popular in some quarters, but little of it is my personal cup of tea at this point other than the cognac. In the absence of any leather, and only a momentary, minute, tertiary flash of iris, the first hour is merely another boozy fragrance with patchouli-like jammy roses and dark fruits — and lord knows, there are plenty of those about. Knightsbridge is a much higher quality, more luxurious smelling fragrance than several of its siblings (especially the utterly heinous Mademoiselle Piguet), but it was occasionally a problem when sniffed up close for too long. In fact, in my first test, I was quite literally cross-eyed at one point from a migraine. At first, I couldn’t figure out if the issue was a white musk (always one of my bête noires in high doses) because there is a very subtle whiff of cleanness underlying Knightsbridge’s opening hour. I think that may actually be the iris note, and that the real problem is perhaps the methyl anthranilate or whatever causes that grape-y nuance. Interestingly, though, the synthetic aspect was not a problem when I applied much more of the fragrance. At a higher dosage, the aromachemical that caused me grief was not at all apparent. This is something that I’ve noticed with a good number of other fragrances that contain synthetics: they smell significantly better with larger doses, because that amplifies the other accords and lets them shine forth, thereby hiding the problematic elements in the base. The same trend applies to Knightsbridge as well. 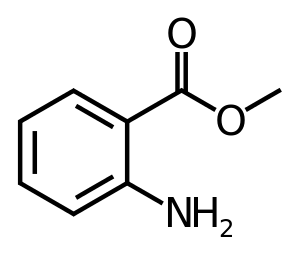 However, as I always try to make clear, I’m much more sensitive than the average person to synthetics, and many people don’t even notice them, so you probably won’t have any issues at all. While Knightsbridge’s opening stage left me utterly unimpressed with anything but the cognac, let me say clearly and bluntly that the rest of it is lovely, especially the drydown. At the start of the 3rd hour, the tonka vanilla becomes almost as prominent a note on my skin as the generic, jammy, dark rose. In fact, it is largely thanks to the vanilla that the rest of the perfume is so wonderfully appealing. Long before I read the Robert Piguet luncheon description, particularly the dessert that they chose to parallel Knightsbridge, I wrote in my notes that the tonka was positively silky, and like a coating of smooth, rich vanilla sauce made from real Madagascar pods mixed with fluffy, airy cream. When I read about the Piguet dessert having a crème anglaise sauce, I had to smile because that is exactly the aroma (and taste) that I detected as well. At the start of the 3rd hour, the vanilla hovers just on the edge of overshadowing the rose, but it isn’t quite there yet. Instead, it blankets and coats the jammy, fruity, red petals, and slides into the booze. The latter has started to change as well, losing almost all of its grape-y undertones and taking on a distinct whiff of spiced apples. 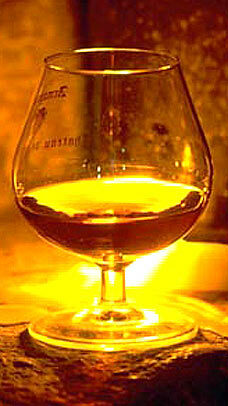 It is as though the liqueur has turned into Calvados, instead of mere cognac. The end result is a bouquet of vanilla-rose jam, lightly spritzed with Calvados, and holding the promise of more vanilla to come. None of it feels gourmand to me, by the way; Knightsbridge may be too fruity for my personal tastes, but it’s not sweet enough to fall anywhere close to the dessert category. Instead, it is simply a very rich, luxurious smelling fragrance with a truly stunning tonka note atop a dark, boozy base. The real changes and beauty of the scent arise after the start of the 4th hour. Knightsbridge turns gauzy and thin, with reduced sillage that lies just above the skin, though the perfume is still strong enough for avoid the “skin scent” label for a little while longer. To my surprise, the rose has faded quite dramatically, and now trails behind the vanilla and Calvados as the main note. There is still no leather of any kind on my skin, and the spiciness has retreated to the sidelines. The booziness, however, has made a major comeback on my skin, and it’s really lovely with the vanilla. Lurking deep in the base is something new. There is a note akin to brown patchouli which appears about 4.5 hours into Knightsbridge’s development, the sort of patchouli that I love. It’s red-gold-brown in visual colour, while being spicy, warm, and lightly woody in smell. There is the tiniest suggestion of a tobacco nuance underlying it as well, just as in old-school, conventional, brown patchouli. Knightsbridge continues to grow softer and more abstract. 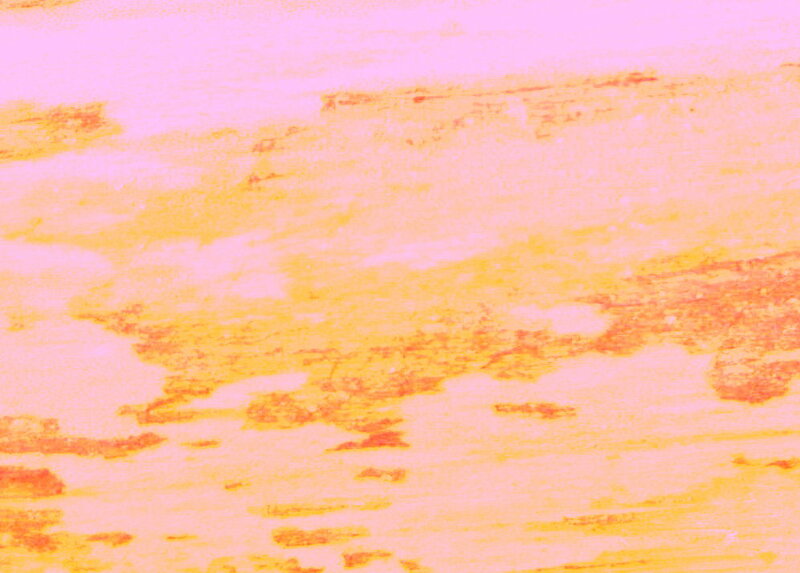 All lingering traces of the rose vanishes at the end of the 5th hour, while the rest of the notes blur into each other, and the subtle nuances fade. By the middle of the 7th hour, Knightsbridge is a boozy, warm, vanilla crème anglaise with whiffs of spiced apples emanating from the cognac. To quote that description of the dessert meant to parallel Knightsbridge at Robert Piguet’s celebratory luncheon, it is “a sweet finale of spiced apple bread and butter pudding with Calvados anglaise[. 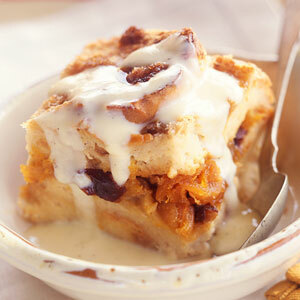 ]” And it truly is a lovely sweet finale, one filled with coziness, softness, and comforting warmth. 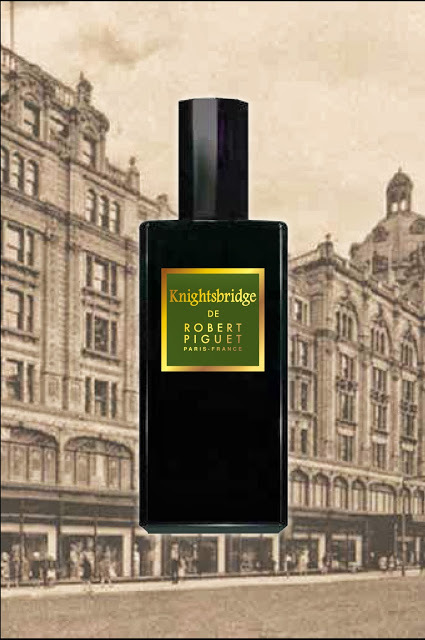 It’s not a particular strong scent at this point, merely a sheer, light one, but Knightsbridge isn’t too hard to detect if you bring your nose to your arm. Knightsbridge remains a Calvados vanilla scent for the rest of the drydown. In its final moments, it is nothing more than a blurry smear of boozy sweetness. All in all, Knightsbridge lasted roughly 10.75 hours with a larger dosage, and 9.5 with a smaller one. The overall sillage varied between moderate and soft, depending on how much fragrance I used. While the opening bouquet always had excellent projection for the first hour or so, and while scent felt very robust at that point, I wouldn’t use my “Wagnerian” classification to describe Knightsbridge as a whole. Knightsbridge has a definite Visa-like feel to it – that smooth leather with a creamy backdrop of vanilla, with iris and something else – it smells almost like fruit or spiced flowers. It’s nice but I don’t think I need it. I was enthralled by the rich leather at the base, (the best buttery leather accord I have smelled in years and don’t get me started on the creamy sandalwood). Knightsbridge’s opulent orris heart stole mine. This is the best fragrance from Perfumer Aurelien Guichard for Piguet since Visa and in my opinion his best work to date. Iris. Photo via free-desktop-backgrounds.net, then edited by me. I haven’t tried Visa in order to compare, but I do have a general memory of another fragrance to which Knightsbridge has sometimes been compared: Dior‘s Homme. According to that Basenotes’ discussion thread that I quoted earlier, “word on the street” has it that the two fragrances are similar. Now, my memory of Dior Homme is admittedly a little faded, but I don’t think Knightsbridge is similar based upon what happened on my skin. For one thing, Dior Homme is not a scent that I would describe as heavily boozy. For another, on me, Knightsbridge is not an iris-centric fragrance, there is no cocoa or patchouli, and it’s not leathered in any way at all. [A]s I walk towards the Haute Parfumerie the last lingering persistent note of a day of perfumistas sampling the wares is that of a rose. The rose has a bit of nutmeg to accentuate the spicy facets within the rose. As … I pass through the beauty section I smell the iris in the powder. M. Guichard has something richer in mind and he captures the iris with a completely decadent orris butter that is so rooty and opulent you just don’t want it to end. Paired with a creamy sandalwood this is what luxury means as this feels like the finest silk sliding through my hand with a frisson on my fingertips. Before I get to the front of the store I stop and breathe deep at the Louis Vuitton display and the smell of the finest leather meets me. I try on a pair of gloves and bring it to my face inhaling deep. The choice of tonka to support the leather accord makes a perfect ending to my night alone in Harrod’s. On Fragrantica, there are only two reviews for Knightsbridge, and both are positive. Absolutely stunning. Has a really classic yet modern feel to it. The rose is prominent at the start with a warm spicy background. It develops into a warm, balmy concoction that pleases my nose. Surprisingly it’s mildly reminiscent of ‘Calypso’ but much more rich and slightly more masculine. I’m a man who is more than happy to wear a ‘woman’s’ perfume(I hate the labels, if it smells nice I say wear it), but with this I feel there is finally a woody, balmy floral that most men could wear. this fragrance has the soul of other Piguet’s fragrances such as the creamy accord of Baghari, rose accord from Rose Perfection, Woody accord of Futur, and Animalic accord of Bandit. [¶][…] one note that is particularly noticeable is Iris and it is the closest to the iris accord in dior homme of any fragrance i have smelled so far..but there is a twist..the iris in Dior Homme is sparkling whereas it is resinous in Knightsbridge. Well, all I can say is that I obviously had a very different experience from everyone else. There was nothing animalic or Bandit-like at all about Knightsbridge on me, almost nothing woody, very little iris, and definitely no leather. I also had a different longevity issue than some of the people on Fragrantica, where Knightsbridge has one vote for “poor” longevity, and another one for “weak.” On the other hand, I can see why the majority votes for sillage are tied between “soft” (2 votes) and “moderate” (also 2 votes). As a whole, I think Knightsbridge is a good, solid scent with a lovely drydown, but I don’t share the wild love for it that I’ve seen amongst some people I respect. I can’t think of a way to put things diplomatically, so I’ll just say that we all have different skin and experiences — and my experience would not qualify Knightsbridge for my Top 10 of the year. What I smelled was very enjoyable at times, but I don’t find anything particularly interesting, original, clever, or unique about either jammy, fruit-chouli roses with cognac, even if they are lightly flecked with a light touch of iris for about 40 minutes. And lord knows, there are plenty of nicely done, boozy vanillas on the market. In all honesty, I think some of my feelings are — consciously or subconsciously — influenced by Knightsbridge’s extremely limited accessibility. The thing is, I simply did not experience anything distinctive or superlative enough to go to great lengths to obtain a bottle from Harrods. The perfume costs £150 which comes to roughly $253 at today’s rate of exchange, so to harness the efforts of a perfume mule who will buy it blindly for you and lug it back in their suitcase seems like the sort of effort warranted only for a truly exceptional, unique fragrance. Knightsbridge does not rise to that level, in my opinion. It would be different if Knightsbridge were widely available. In that case, I’d definitely encourage everyone who loves roses, tonka, and booziness to give it a passing test sniff, especially in light of its lovely drydown. I wouldn’t wear Knightsbridge myself, but I think a good number of you would enjoy it very much, even if you didn’t think it was the most spectacular perfume you’d tried all year. Unfortunately, given Knightsbridge’s exclusivity and Harrod’s refusal to ship outside the U.K., I don’t think the fragrance is really worth substantial effort. All of that is a subjective, personal valuation, however. Those who love the notes in question — whether the ones that I encountered, the Dior Homme concoction, or Mark Behnke’s rose-iris-leather-vanilla combination — may feel very differently. In which case, I hope you know someone who is travelling to London and willing to be your perfume mule. Cost & Availability: As noted, Knightsbridge is exclusive to Harrods, now and forever. The perfume is an eau de parfum that comes in a 100 ml bottle and costs £150. Harrods does not ship (“export” in their words) outside of the U.K., and the perfume will never be offered at any other site, not even Robert Piguet’s own website. I have not seen Knightsbridge offered on any of the American decanting sites. My own sample was a gift from a friend. This entry was posted in Orientals, Perfume Review, Robert Piguet and tagged Harrods Exclusive fragrance, Harrods Knightsbridge, Knightsbridge perfume, perfume review, Robert Piguet, Robert Piguet Harrods, Robert Piguet Knightsbridge by Kafkaesque. Bookmark the permalink. Oh, how I hate those limited perfumes. I’m still mourning my beloved Ginza by Santa Maria Novella. I thought it was an edition limited to the Ginza store, only to find out later (too late) that it was also a one time release. Had I known, I would have bought a few bottles, not just one. I’m treasuring the last 2 ml in a travel spray, safely tucked away in a dark pouch in a box in a drawer and I enjoy sniffing it now and then. The SMN Ginza boutique closed a while ago, and is reopening this year, unfortunately there are no rumours of the Ginza scent coming back. That is one perfume that I would definitely travel for. I can’t explain it, as there are no notes, no info anywhere. The only review for it is my inexperienced short writing about it on a Japanese cosmetic site (similar to MUA). I’ve been trying to find a similar scent, but my search has been fruitless. Sometimes I think we would be better off not knowing about these almost unicorns of perfumes, because they only bring us heartache when they are unattainable or gone, forever. Gosh, SMN’s Ginza sounds even more limited than this one, especially considering that it was only a one-time release. At least Knightsbridge is going to be made for as long as the company or Harrods are around, even if its not sold anywhere else. As for being better off not knowing about unicorn scents, I definitely understand where you’re coming from, my dear. 🙂 I actually hesitated in terms of whether or not I should cover Knightsbridge. In the end, I decided to do so only because I know a few people who are contemplating going to great efforts to blindly buy Knightsbridge. Maybe my review will make them want the scent more, maybe less. Either way, having one more opinion out there (when there aren’t many reviews) may possibly guide someone, somewhere, even if it’s only one person. Still, it’s definitely an exercise in heartache when Unicorn Scents are actually really good *AND* impossible to find. can you feel my pain dear Kafka? it is heartbreaking indeed. SMN Ginza was released in 2005, and I got to buy it in a SMN store in Osaka (where I live). When I visited the Ginza boutique in 2010 to buy a backup I was told the sad news. I have been searching high and low, on eBay, on the local yahoo auction site, but no luck. I don’t even think anyone outside of Japan knows or has this perfume. There aren’t many (any?) perfume groups or communities in Japan, so again, I wouldn’t know who to reach out to. ***I fell in love with Ginza at first sniff. For some reason, it has a familiar scent, as if I had already smelled something similar to it but I can’t put my finger on it. A mixture of L’Occitane’s Artemisia shampoo, their Cade showergel, their Aromachology Relaxing line? It is kind of herbal with a masculine touch. I just can’t get enough of it. In some phases it also reminded me a little of Samsara. This is the description on the pamphlet:”Ginza, the heart of Tokyo, where traditions and history coexist with a modern metropolis. The essence that brings to mind the rich and lush nature of Tuscany’s Spring and Fall, mixed with the aromas of the East. So far I have found NOTHING to replace it. Some that kind of brought back a similar vibe of freshness, herbs, complexity, are Guerlain Cologne du 68 and Hermes Eau de Gentiane Blanche, but it’s not the same. SMN has no other perfume that smells like it either. If anyone has ideas on what to try, please please comment! I’ve wracked my brain to think of a fragrance that may be really similar to the one you’ve lost, but haven’t come up with anything. Téo Cabanel’s Meloe may replicate SOME small parts of Ginza, or, at least, its feel, but there is nothing that has that sort of resinous base that is listed. I wonder if you can write to SMN in Italy, and beg them for help. Ginza may have been an Osaka exclusive, but maybe the mothership would have one or two bottles in stock, for their own uses? I realise that is all very farfetched and unlikely, though. I’m sorry, my dear Cath. Such the tease, with tempting us with perfumes that aren’t available in the US. Actually, in reading the notes, this does not sound like my cup of tea. However, I think it’s funny if they are trying to capture Harrod’s after hours, their cleaning staff sounds like they might have a drinking problem. I have never been to Harrods, but typically these old giants of retail stores, smell of polished wood, oil for the escalators and paint. It’s actually a very nice smell of old. I laughed out loud at “their cleaning staff sounds like they might have a drinking problem.” 😀 😀 Hilarious. I am glad that you reviewed Knightsbridge. A mutual friend of ours sent me a decant, and I was underwhelmed, thankfully. it is always a relief to not fall in love with something so hard to get. I agree completely with your breakdown of notes, from the boozy fruit jammy opening, to the syrupy rose to the “sweet finale of spiced apple bread and butter pudding with Calvados anglaise”. I never detected a leather, but thought it was just me, as I sometimes have a hard time with that note. I think this is an easy to wear, winter scent, very accessible and palatable. Thanks, Kafka. I all fairness, I think that my trying this in the spring heat was ill advised. I do think that this would be a thousand times more lovely with some chill in the air….. In response to your other comment, I think you’d definitely enjoy Knightsbridge more in winter. The booziness would work much better than in the heat, and the drydown is very pretty. As you said, it’s a very easy to wear fragrance. It’s a shame it’s so inaccessible. I just did a pretty ridiculous thing-I bought 3 fragrances, unsniffed. Fracas, Calypso, and Douglas Hammant. Impulse purchase-I don’t know why I do these things. 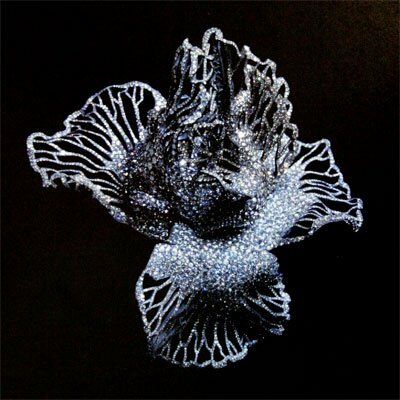 i was impressed by the reviews on Fragrantica, and the perfumer seems to be respected. i like the idea of the Calvados fragrance, but the musc sounds a bit of a turn off. And since the other Piguets don’t seem to impress you, i may have made a mistake. I will let you know once they arrive. As for what you bought, vintage Fracas is one of my old-time favorites. It really shaped my perfume tastes, and it is the reason why I have a huge sentimental fondness for the name “Robert Piguet.” Unfortunately, I think it’s been reformulated into something much sweeter, more syrupy, and… yes, alas, a bit more synthetic. It’s still very pretty, though, and if you like the Big White Flower genre, I think you’ll very much enjoy it! You’ll have to let me know how the other two work out for you. I haven’t tried Douglas Hammant. I will definitely let you know, and think you 🙂 i was influenced by the history of Fracas, and because of its legions of followers (esp Isabella BLow. I loved her!). The bottles are beautiful. Plus i had great luck with two other unsniffed purchases from Patou-Eau de Patou and Mille. So I am pressing my luck, for sure. Knightsbridge doesn’t sound like my cup of tea at all (fortunately for my bank account), but I’m intrigued by how the menu for the release luncheon proved a much better guide to the notes you detected than the official list! Thanks (as always) for all the detective work you do. Haha, I snorted at your last comment. 😀 😀 The poor dears probably ARE compensating for all the dieting. Heh. And I bet you’re right about how distinctive the signature style of the last decade has been in terms of certain trends or genres. But why would/should Harrods smell like Calvados and/or tonka beans at 2 am ??? Hm, let me think about – errh, no. 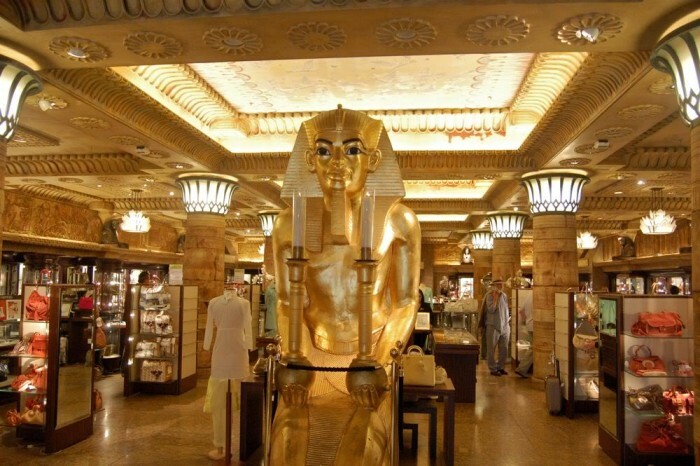 I quite like Harrods – but still, no. This sounds merely okay (even if I truly enjoyed heavily boozy scents), but I too am tiring of these limited release/impossible to get your hands on scents and it makes me less inclined to like the scent on principle alone. I know it isn’t fair of me, but whatever. Guerlain does it a lot too. Actually, I think Guerlain is worse because they apparently re-release some of their same scents in limited runs and simply increase the price dramatically. I forget the name, but they just did it with the one that was available only at their store in Moscow, which had previously existed in their normal stores. At any rate, it sounds like my $250 could be better spent elsewhere, even if this weren’t horribly limited. From what I know of your tastes, I don’t think this one would be for you anyway, even if it were widely available. I don’t think you’d find the fragrance to be worth the price.